Here's a quick overview of the features you can access when you log in to your Stripe account. This is on Stripe's website, not Brandboom. - Gives a quick summary of your account. You can change the date range to reflect account activity for specific dates. - List of customers and customer emails that have sent payments through Stripe. 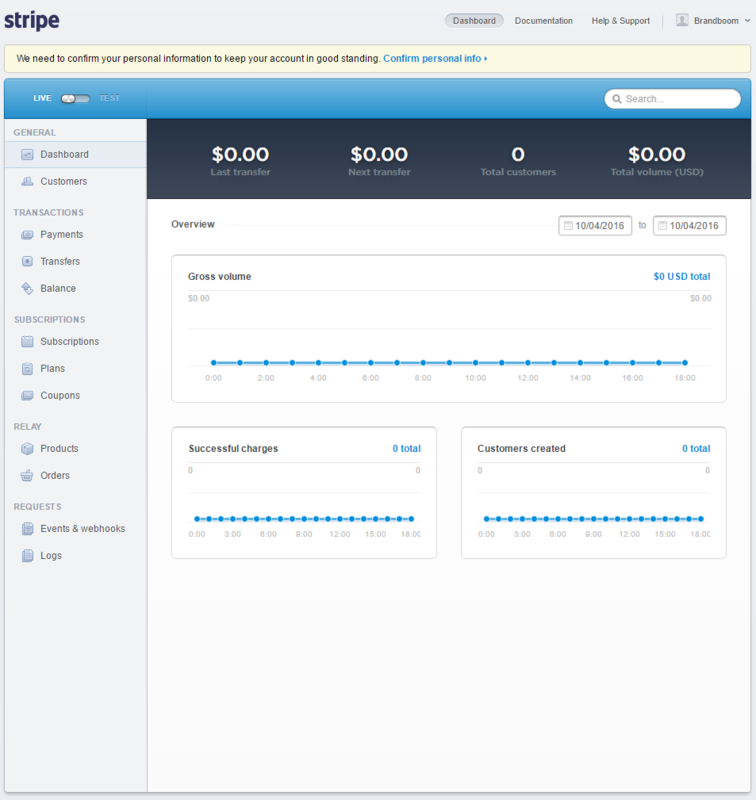 Clicking on a customer will pull up customer details and a history of payments made. - A log of payments made. Clicking on a payment will bring up payment details including Order/Invoice number. List of all recent transfers, including transfers between Stripe and your bank account. For more information about Stripe transfers, see this article. - Detail of your balance including payments and transfers. You can use the search bar on the top right to search for payments. Use the Order number or invoice number to pull up a list of associated payments. You can search for a customer by going to the Customers page or entering the customers email address in the search bar. See the Stripe support page for frequently asked questions about Stripe.